The tropical zone of planet Earth contains many wonderful species which have adapted over time to their environment. The Jaçana (the c is pronounced like the one in façade) consists of eight species; all are found within the tropical zone and all in possession of something quite special which equips them take best advantage of their habitat. 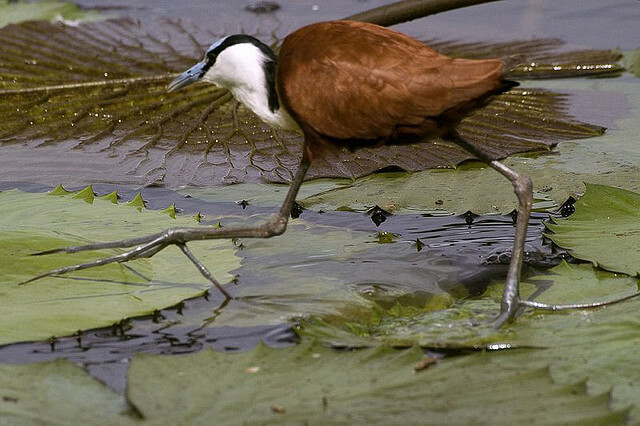 At home in shallow lakes with lots of vegetation, the Jaçana has evolved enormous feet and claws. They are, literally, the big foot of the bird world. Once seen, never forgotten.